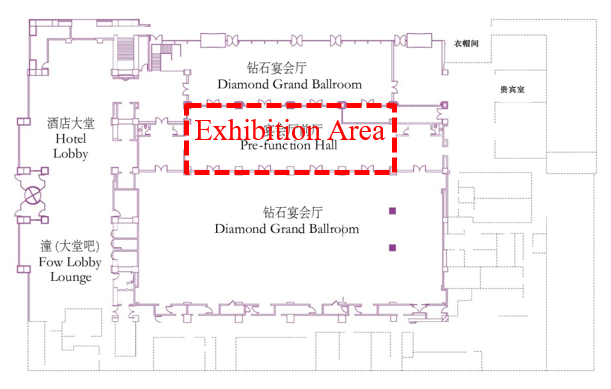 The Exhibition will be held in the five star WH MING Hotel, Shanghai (http://www.whminghotel.com), where the conference will also be held. The Welcome Reception will be held in and around the exhibition area. The exhibition area will be open to the participants from May 27 (Sunday) to May 30 (Wednesday), 2018. The standard booth will be 2X2 m2. Each exhibition booth will be supplied with two lights, two chairs, one table, and one single 110/220V power outlet. 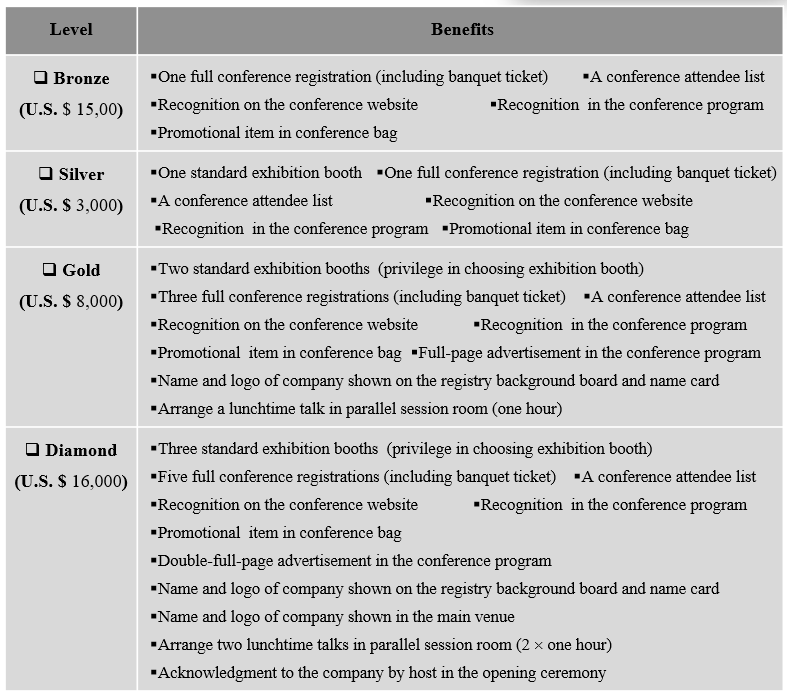 The exhibition fees and corresponding benefits are listed below. You are encouraged to act promptly, as the number of booths is limited. To reserve your exhibition space, please complete the Exhibition Space Application Form and submit it with your full payment as soon as possible. If exhibitors pay the fees after April, 15, 2018, we can not guarantee that your information will be printed in the conference program.